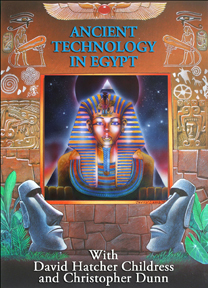 Join David Hatcher Childress in Egypt where he meets up with British engineer Christopher Dunn to explore Dunn’s theory of the Giza Power Plant and his view that the ancient Egyptians had power tools, including electric saws and drills. He and David journey to the Great Pyramid, Abu Garab, the Serapeum and other areas in search of the secrets of the past. Extra features. Tons of great footage of unusual megalithic construction and technology! All our DVDs are Valid in All Regions and All Countries!